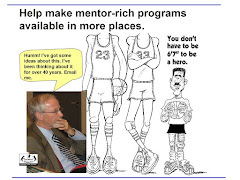 Tutor Mentor Institute, LLC: Tutor/Mentor Institute, LLC - A Social Capital Amplifier. 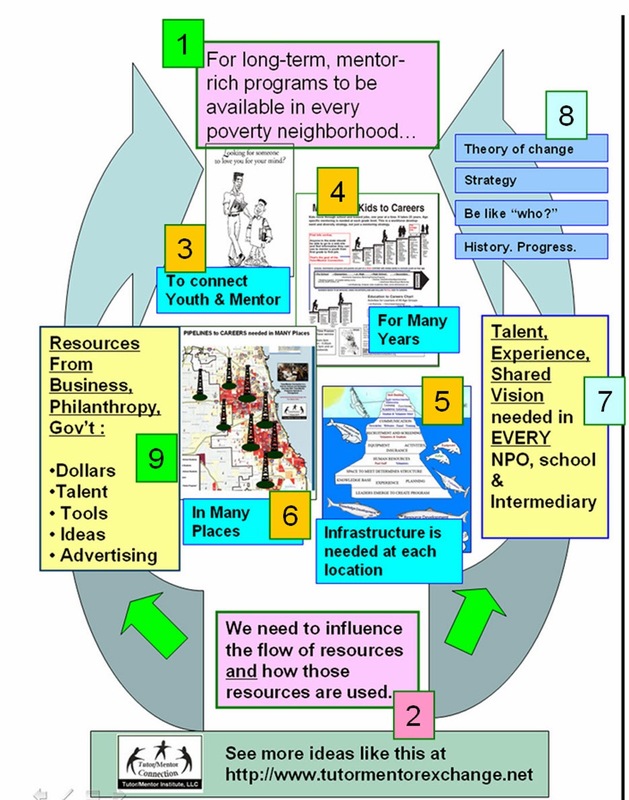 Tutor/Mentor Institute, LLC - A Social Capital Amplifier. I've been invited to join an international group of 72 people, with the name of "Social Capital Amplifier". The group is organized by Bert-Ola Bergstrand, who I first connected with on Facebook in 2011. 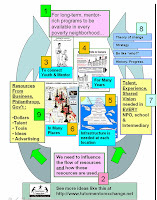 Here's a graphic I shared in a 2012 article showing my role as a network builder and "social capital amplifier". Bert shared it today in this post on Facebook and referred to it in a ZOOM webinar which was held today to begin to introduce the 72 people with each other. 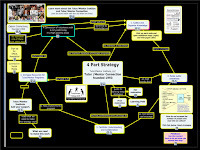 I've used cMAPs to visualize ideas and strategies since 2005 and if you open this cMap, you'll see a timeline of actions I've led from 1990 to now, to help collect information and draw attention to it, so more people would be strategically involved in actions that build and sustain non-school, volunteer-based, tutor, mentor and learning programs in high poverty areas.....which are each learning from every other program in a continuous effort to influence the lives of kids, volunteers and others who need to be active participants in world events. From 1990 through mid 2011 I found money and volunteers to help me do this work, through the structure of a 501-c-3 non profit organization. Since we started with no money, only a vision of a need to be filled, I was constantly raising money to pay the bills, including a salary for myself and the small paid staff helping me. I never had the money as I started any single year to fund all of the work I was committed to doing during that year. Thus, I constantly struggled to do what I was trying to do as well as it needed to be done. I created the Tutor/Mentor Institute, LLC in 2011 to keep the Tutor/Mentor Connection available to Chicago and to help the idea spread to other cities and have had even less money and volunteer talent helping me. Yet, if you read articles on my blogs, view my Twitter posts, my Facebook and Linked in groups (find links here), you'll see that I'm working daily to build and maintain an information library and to draw attention (amplify) to the organizations and information in the library. This is part of a 4-part strategy developed in 1993 and continued for the past 25 years. Visit this article to learn what's involved in each of the four steps. Step two focuses on building public awareness, not for myself, but for all of those in the library! This is amplification. It's work many need to be doing, not just myself. View the other articles in this section that describe the four -part strategy. I've posted more than 1000 articles on this blog since 2005. They are all examples of this strategy in action. 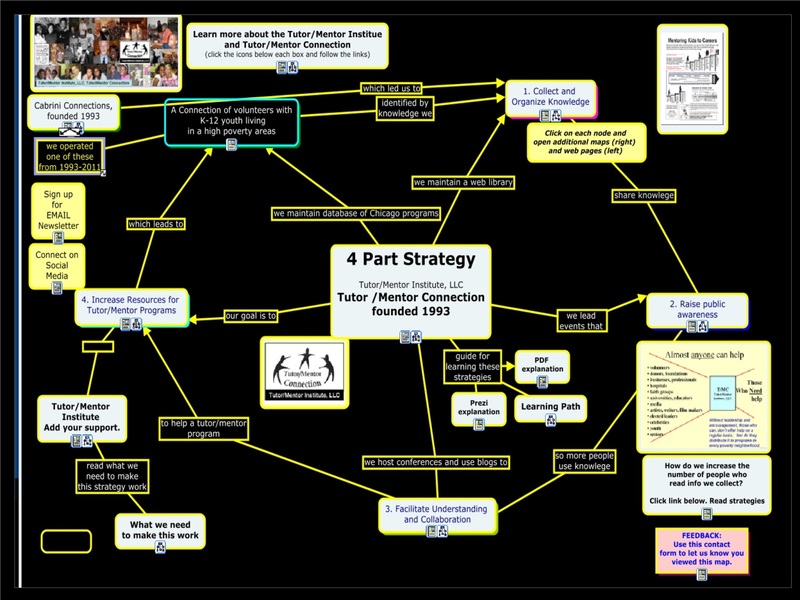 If you do a Google search for "Tutor/Mentor Connection" then look at the "images" page, you'll see dozens of maps and graphics that I've created and used in my PDF presentations and blog articles to communicate ideas. The graphic at the right is an example. 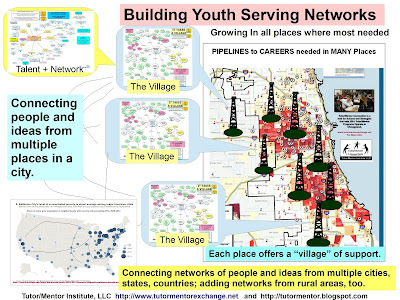 It shows that if we want well organized youth tutor/mentor programs in all high poverty areas, we need to influence resource providers as well as service providers. This is a concept I've shared with the Social Innovation communities I've connected with on Facebook. 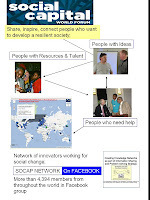 While it helps to connect all of the social innovators with each other, to share ideas, give encouragement and support, etc. what's needed is a way to influence (motivate) resource providers to join our conversations and build their own relationships with our members, understanding of the work we're trying to do, and commitment to help us in whatever ways they can with their time, talent and dollars. 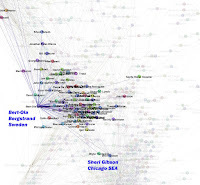 In 2012 I did a network analysis map showing my Facebook friends network. You can view the pdf here. 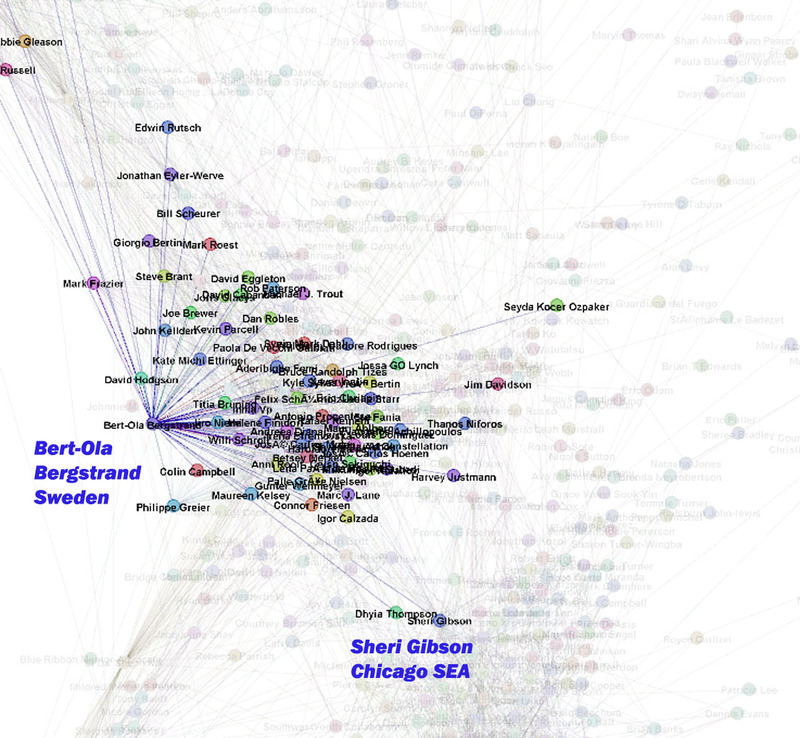 The graphic at the right shows the people in my network that Bert-Ola was connected to, and how they are connected to each other. I've been trying to find people to help me do the work I'm doing, on a consistent and on-going basis...with different levels of success in the 25 years since 1993. In 1998 one of my tutor/mentor volunteers built my first web site for me. In 2005 the technology department of IUPUI rebuilt this site. It's still hosted by a tech volunteer in Indiana. In 2004 an intern from India built this first searchable on-line program locator. Then, in 2007-8 another volunteer from India built two on-line platforms for me, including this interactive Chicago Tutor/Mentor Program Locator. Unfortunately, due to the financial meltdown starting in late 2007 I lost donors who supported this work and never could find money, or volunteers, to keep updating the platform and the list of programs. While it still works, it's now more of a demonstration model than a really useful tool. Furthermore, it illustrates how important it is to find ways to bring "people who care" and "people who will invest time and talent" into our groups and communities so that some will offer to help you do those things which you're not really good at doing for yourself. As the Social Capital Amplifier group develops over the coming year I'll be sharing Tweets, using a hashtag that has not yet been announced. I hope others will join in, add their own ideas, and amplify our messages, and help expand the network of support available to all of us.